Winslow State Park (Mt. 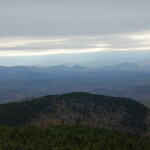 Kearsarge) - Wilmot, NH - Take a day trip! 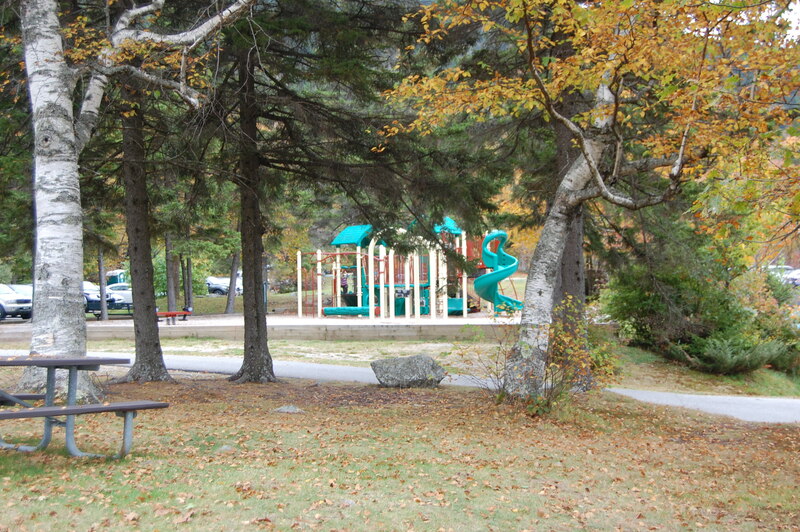 Small Playground at Winslow State Park at the base of Mt. Kearsarge. 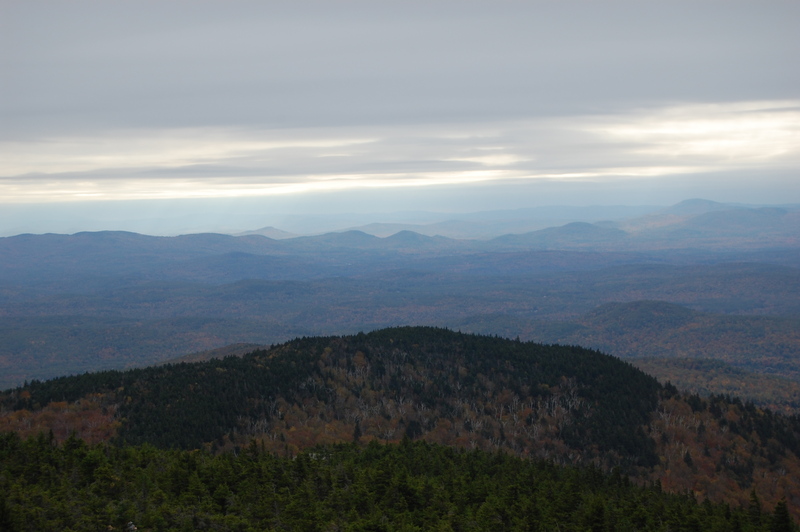 of the oldest peaks in New Hampshire and a lovely place to go take a day hike. 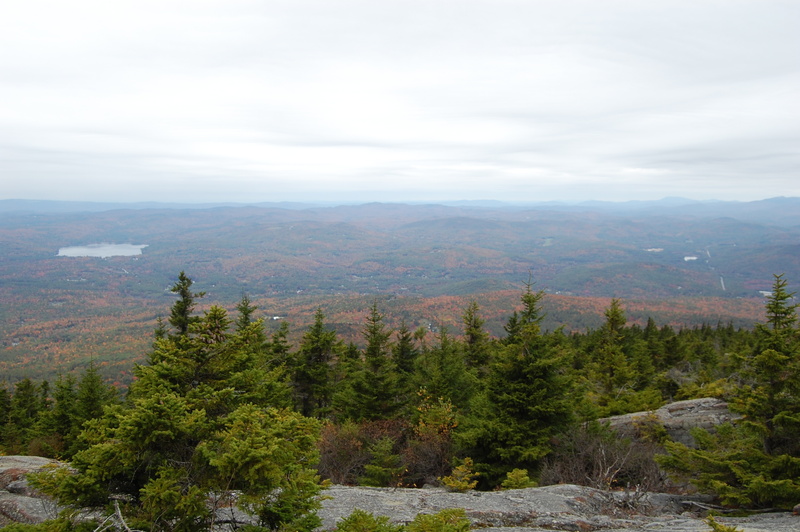 It is a very lovely hike and a relatively accessible peak to Boston and other major cities to the south as it is not as far away as many other mountains in New Hampshire. It is also very popular with families. The primary reason to visit this park is to hike however there is also picnic space, a playground and fishing is allowed in the park too. 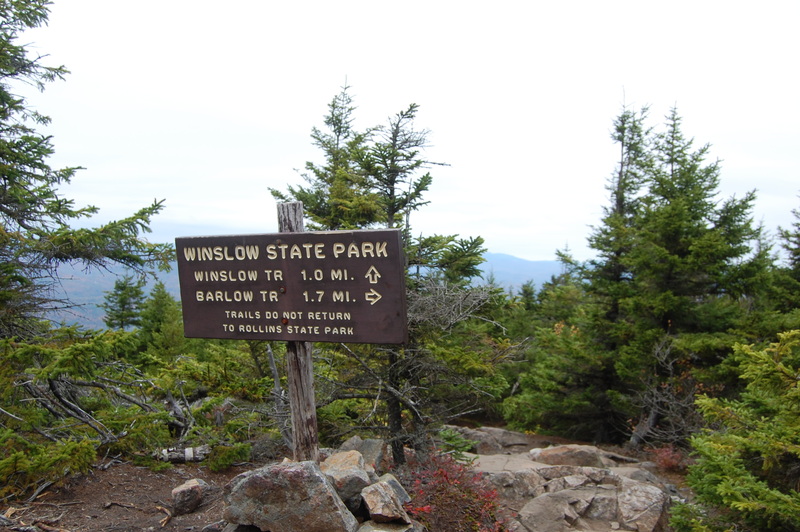 If you’re hiking to the summit from this park there are two options, the Winslow and Barlow trails and a loop hike can be done by going up one and down the other. This is a 1.1 mile hike up the Winslow Trail and a 1.7 mile hike up the Barlow Trail for a total vertical rise of a little over 1,000 vertical feet. View from atop Mt. Kearsarge. 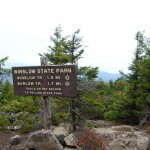 You should make sure that you’re in shape for a significant hike before hiking from the Winslow State Park lot. There is an auto road up Mt. Kearsarge that is open in Rollins State Park from the south side of the mountain. The hike from this lot is a lot shorter (half a mile) with less of an elevation gain (approximately 300 feet) that would be a better choice for those who might not have the stamina to do a more significant hike. Trail sign at summit of Mt. Kearsarge. May through the middle of October of $4 per adult and $2 per child. There is no running water and the facilities are limited to limited to an outhouse and some portable toilets. 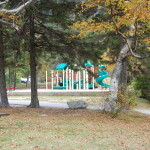 For more details visit the New Hampshire Division of Parks and Recreation’s official website for Winslow State Park and print off a copy of the trail map they have online. However the main parking area for hiking up Mt. Kearsarge from this park is on Kearsarge Mountain Road which is accessed from Kearsarge Valley Road.